Summary: Banks in states with legalized marijuana may not want to support these businesses. Tips to spot disguised cannabis customers. Did you hear how a Chick-Fil-A employee helped a 4Y old boy? The boy walked into the men's room even though his mother had planned on taking him to the ladies' room. The boy needed to wash his hands, but soon realized he was too short. So, he did what any kid would do and popped his head under a bathroom stall and then joined an employee in that stall to ask for help. The employee helped the boy and posted a video of it on social media - which went viral with 10mm views! 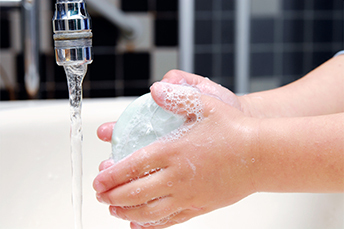 Keeping hands clean is not just a priority for children, but also for banks. As of this point, marijuana is legal in 9 states and medical marijuana is legal in 29 at the state level. Unfortunately, marijuana remains illegal in all states under federal law per the Controlled Substances Act. Marijuana is currently classified as a Schedule I substance, which is the strongest such classification. These are considered "dangerous" and "with no currently accepted medical use and a high potential for abuse." Beyond marijuana, Schedule I drugs also include heroin, LSD, ecstasy, meth and peyote. This has been a very big issue for banks operating in all of those states, particularly when it comes to BSA/AML compliance, which had been relying on the 2014 Cole Memo. That memo was a non-binding policy letter written by former Deputy Attorney General James Cole and accompanying guidance from the Financial Crimes Enforcement Network (FinCEN). The memo didn't legalize marijuana at a federal level, but it supported the idea that, under carefully defined circumstances, institutions could accept state-licensed marijuana businesses as customers. The Cole memo was rescinded January 4 by Attorney General Sessions and that rule change makes providing services to state-legal cannabis businesses even more uncertain. Some institutions that have banked these customers may even be wondering whether following FinCEN's 2014 instruction to file a "marijuana limited," "marijuana priority," or "marijuana termination" suspicious activity report (SAR) for transactions involving marijuana-generated funds means they have created a damning paper trail. This remains a concern, as no assurance has yet come from the government that those who relied on that instruction in good faith will not be prosecuted. In the meantime, institutions that offer banking services for commercial marijuana companies must stick to FinCEN guidance and BSA/AML due diligence rules around beneficial owners. This could include gathering information on investors, vendors, customers, financial statements, tax forms, business organizing documents, state licenses, leases, handbooks and more. Institutions that are located in states where medical and/or recreational marijuana are legal under state law, and that don't want to provide banking services to potential cannabis industry customers, should keep their eyes (and noses) open for marijuana-based accounts in disguise. What are some things to look for? This is only a partial list, but a good start. It may not be easy to spot an obscured cannabis business, but it is very necessary, if your bank is going to remain clean at your next BSA/AML exam. S&P Global Market Intelligence reports the number of bank M&A deals climbed to 45 as of March 15 vs. 44 in the same timeframe last year. Meanwhile, the median deal value-to-tangible common equity was 173.8% vs. 137.3% last year. Bank Director's 2018 Risk Survey finds senior bank executives report concentrations in: commercial real estate (71%), mortgage loans (21%), other (14%), construction loans (11%) and C&I (5%). Bank of America said an internal review of a $292mm loss it took related to retailer Steinhoff International Holdings NV (owns Mattress Firm and Sleepy's brands) has resulted in credit underwriting changes including: cutting back overall appetite for loans backed by stock collateral and reducing the number of loans to individuals that are backed only by a borrower's holdings of a single stock. The Wall Street Journal reports that Citigroup will be releasing its expanded app to allow customers a full range of banking, lending and investment products and services, including near instant account opening. This is part of its strategy to attract new customers nationwide. Citi will also roll out a robo-advisor feature in its app later this year.